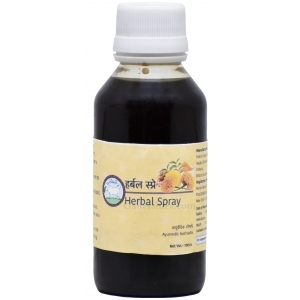 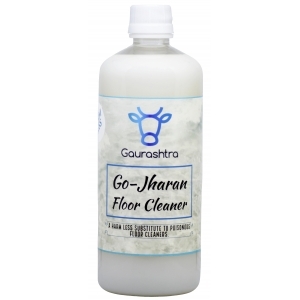 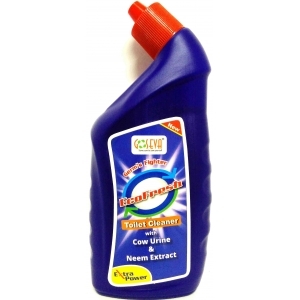 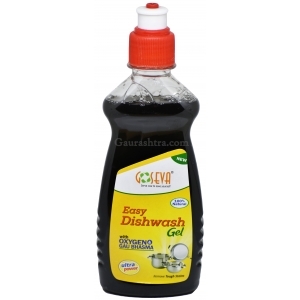 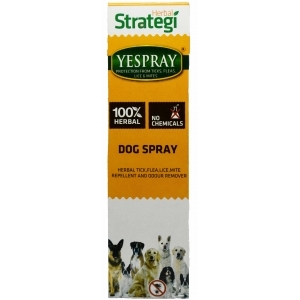 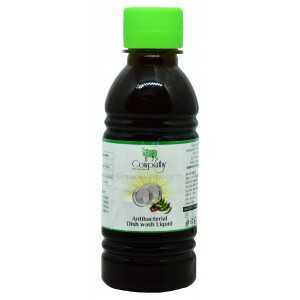 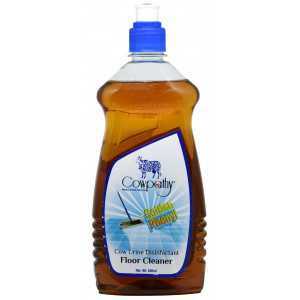 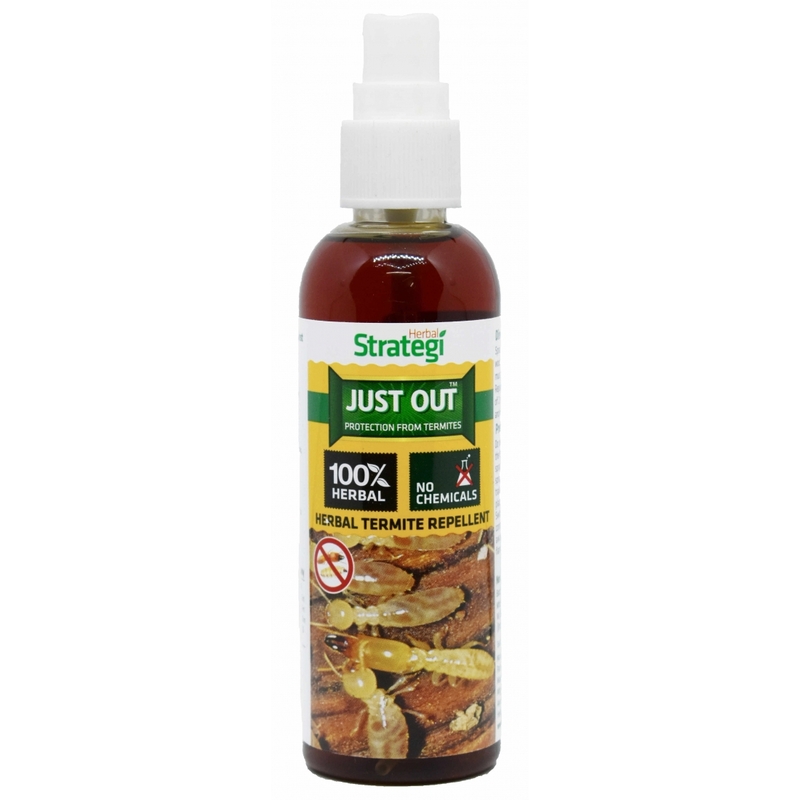 Herbal Termite Repellent Spray gives all round protection to your wooden furniture. 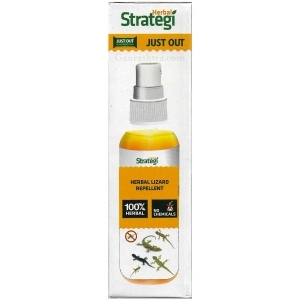 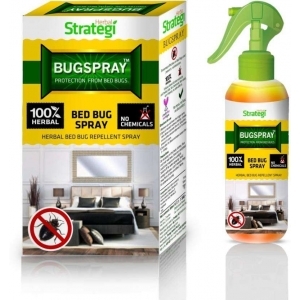 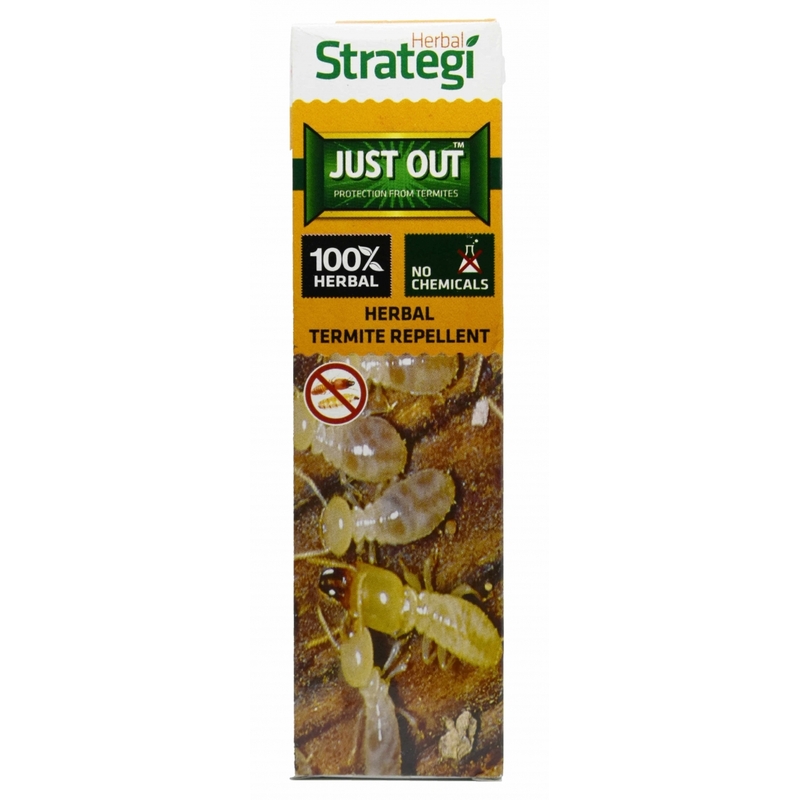 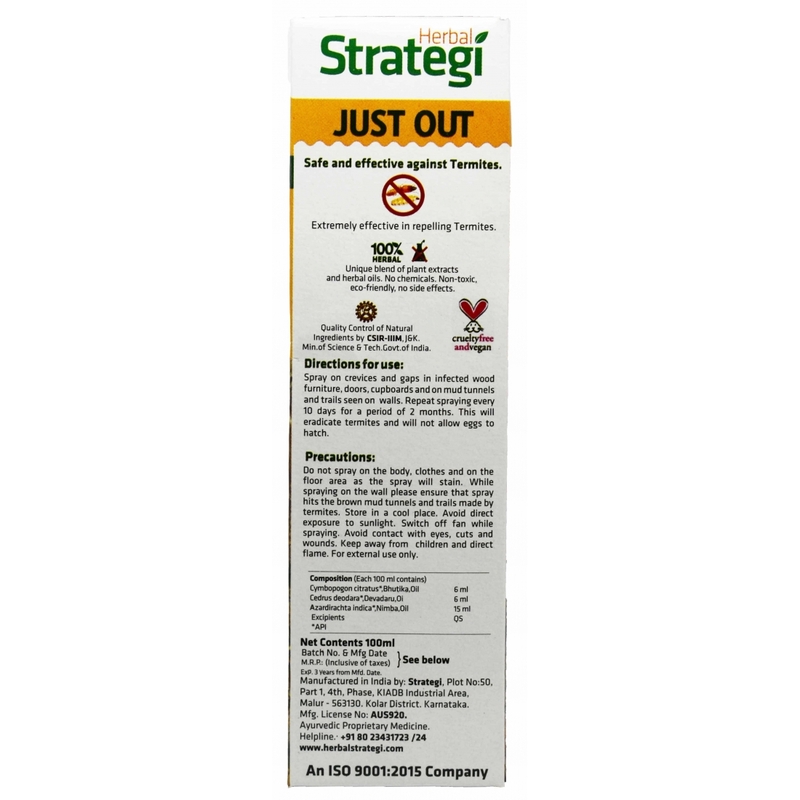 Protect your furniture from termite attack, Herbal Strategi's Termite Spray ensures complete protection from Termites. 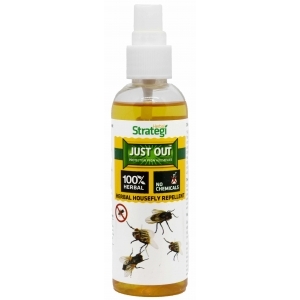 Simply spray on crevices and gaps in infected wood furniture, doors, cupboards, mud tunnels and trails seen on walls. 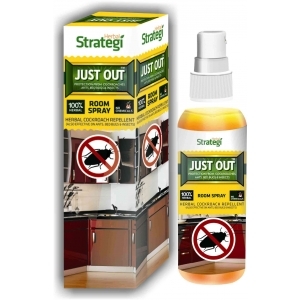 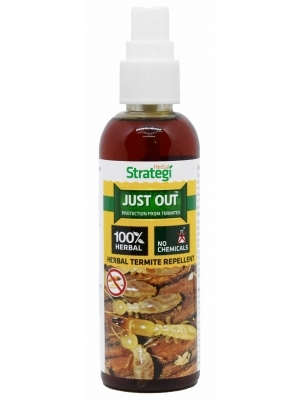 Repeat sprays every 10 days for 2 months will eradicate termites and will not allow eggs to hatch.